Probably best known as the 1967 film thriller, which earned its star Audrey Hepburn a Best Actress Academy Award nomination, Wait Until Dark actually started life as a play and before being transferred to film it was a big hit on Broadway and in the West End. 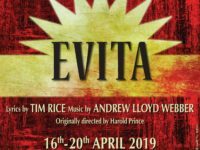 As the play, it has continued to enjoy considerable success, having been performed frequently over the intervening years (including a production by the New Forest Players in 1969). Masterfully written by Frederick Knott, of Dial M for Murder fame, Wait Until Dark is renowned for its suspense and for putting audiences on the edge of their seats. 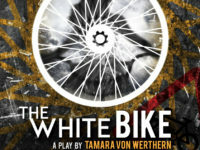 Live theatre is always a challenging environment to produce a slow-burning psychological thriller that builds up tension to prepare the audience for a suspenseful climax, especially one with a story line that has become as well known as Wait Until Dark, but Director Ann Ramm, has managed to do this with a good deal of success. Kate Smethurst, in the lead role, convinces as the blind, yet resourceful, Susy. Gloria is played by 12 year old Gracie Goodsell and she delivers a confident performance in character with her part. 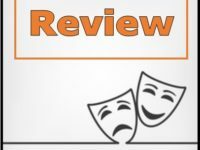 The dialogue and interactions of Michael Doyle, Peter Davies and John Donnelly, in their respective parts as the menacing conmen, flows smoothly and ensures the plotline, which at times can be difficult to follow, holds together and brings the play to a satisfactory conclusion. The smaller part of Sam Henderson is ably played by Martin Cox, with Yaz El Hakim and Paul Eldridge looking and sounding just like two Policemen, which they play in the final scene. A good deal of effort has been put into building a realistic basement flat on the stage with an authentic period set, (allowing for some of the kitchen appliances being usurped by modern examples out of necessity), which provides a good performance space for the action to unfold. There is much for the New Forest Players Production Team to be pleased about with their presentation of this now classic thriller. This is another example of good amateur theatre in the New Forest Players’ tradition. 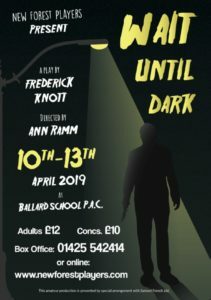 Wait Until Dark can be seen at the Ballard School Performing Arts Centre from 10 to 13 April 2019.